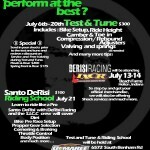 We will be setup on vendors row at the IXCR doing suspension setups! Only a few spots left so text 704-472-4740 to get on the list! We will be offering ride height and adjustments to all brands of suspension! CASAR, NC, January 10, 2011– DeRisi Racing has released the details of their new 2011 GNCC contingency program which will stretch throughout the entire thirteen rounds of the GNCC Series. GNCC competitors will be required to meet certain criteria to qualify for the contingency. 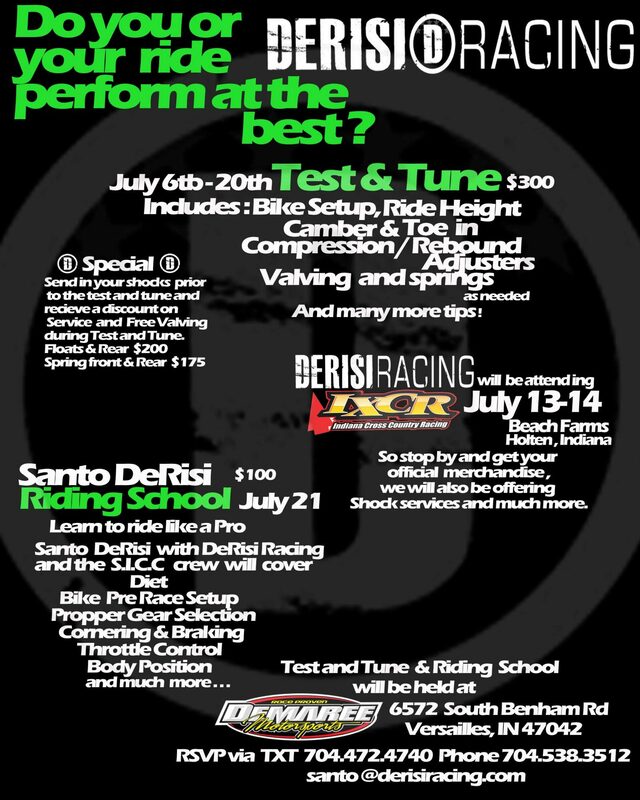 Racers who meet the established requirements will be eligible to earn credit for their finishes which can be applied to future orders and/or services offered by DeRisi Racing.